Thank you so incredibly much for your votes during the past two weeks (what a long time to vote!!!!) And most importantly, thank you for reading my blog!!!! I love reading and responding to comments! It humbles me to think that people check what I have to say about Baltimore's Deliciousness. And to all my new readers - I hope you stick around!!!! 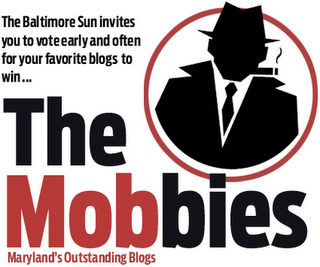 Once again, if you haven't already done so - please give Taste of Baltimore a little shout out for a Mobbie! Voting ends TODAY (October 9th) at 5PM. hi Nakiya...thnx for stopping by at my blog! and no haven't tried the orchard..by the way my vote for your blog!